With the potential for fraud and theft ever growing, reducing the risk of your staff ID cards being cloned is of the utmost importance. This is especially vital if these cards grant access to sensitive data and expensive equipment in your organisation. ID cards are mostly relied on for visual verification and physical access, so it would only make sense to add an element of security to them. From our experience, the most common form of ID verification is visual, therefore enhanced visual security is extremely necessary. Do you challenge all unidentifiable personnel on site? To assist you in the process and explain a little more about why adding visual security to ID cards is so important, we have produced a list of five of the most effective options currently available to ensure you’re not the next victim of ID card cloning. One of the simplest yet effective options to increase the visual security of your ID cards is by printing with a holographic overlaminate. Holographic overlaminates not only increases card durability by adding a protective laminate layer, but it also adds translucent holographic images over the card that can only be seen in certain light. 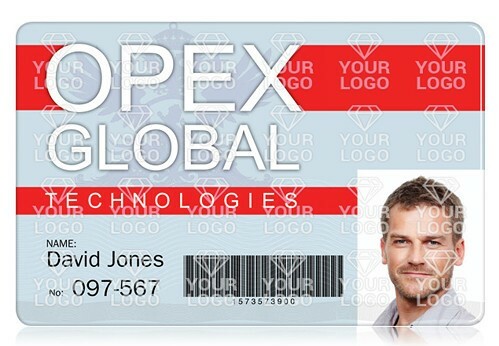 Holographic overlaminates actively prevent counterfeiting and tampering and is a reliable way for security personnel to prove an ID card is genuine. The holographic film can even be customised to include a specific logo, image or text, taking security to an increased level. Magicard have created Holokote – a built-in security hologram that is specific to Magicard ID card printers only. 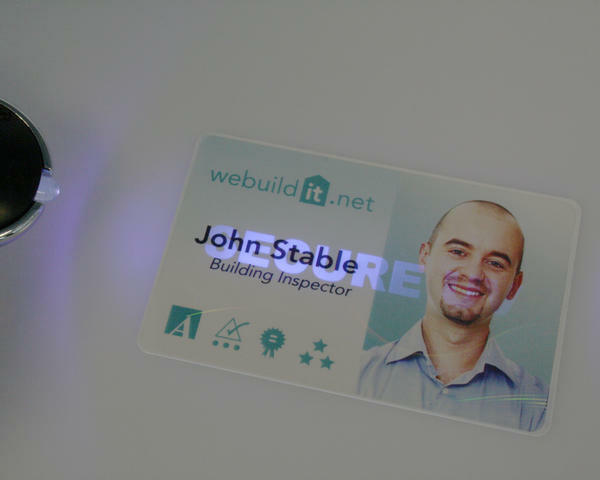 Holokote prints a transparent holographic watermark over the surface of ID cards during the normal print cycle. This can either be a standard design, or there is the option to use your own corporate logo, ensuring there’s no doubt as to the legitimacy of the card. The Holokote image is frosted onto the overcoat without detracting from important features, such as the photo itself, resulting in a watermark that can only be seen when tilted in the light. By overlaying a simple tiled pattern, stretched image or HoloPatch, it helps you identify that an ID card has been printed from the original source, proving it is not counterfeited or copied. UV (ultraviolet) ink is a printed layer on ID cards that allows you to hide data beneath the standard ink. When looked at under ultraviolet light, the greyscale text becomes visible, confirming the legitimacy of the card. UV provides a discreet and impenetrable way of increasing card security, so anyone attempting to clone a card may not even realise it has this feature. UV ink dramatically reduces the chance of card fraud while allowing simple and easy detection. Certain printers, such as the Datacard SD460, can leave a tactile impression on cards (similar to a stamp). This means that only your individual printer can have created the stamp on the cards, making counterfeiting impossible without using the same machine. 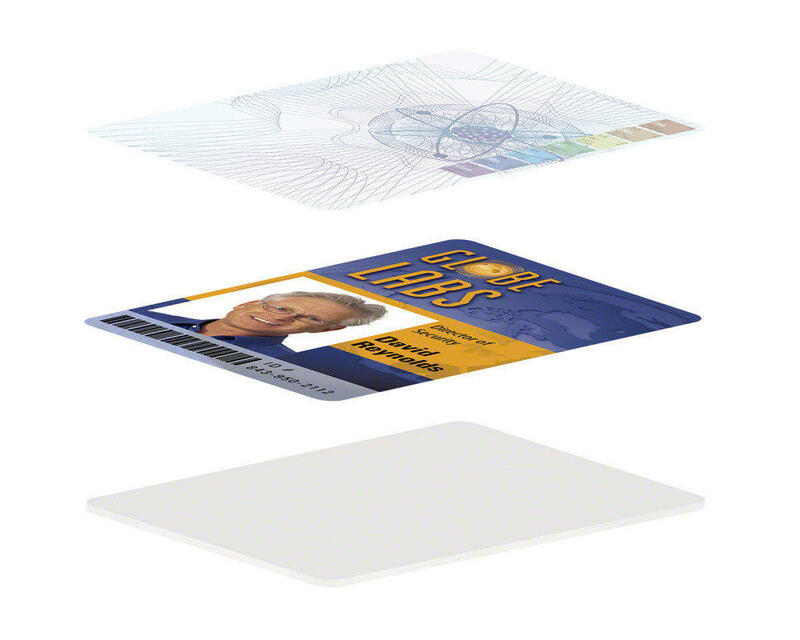 A tactile impression leaves minimal distraction and is printed over the top of a standard ID photo as an additional check during the visual verification process. As well as visual security, it also works with the card’s laminate, so if anyone attempts to tamper with the card and peel off the top layer, the card will destroy itself, rendering cloning useless. If you want to learn more about tactile impression, watch the video below and skip to 2:30 to see exactly how it works in protecting ID cards. Microtext prints a microscopic code or text chain onto cards that cannot be seen by the naked eye. It can only be verified with a microscope, assuring complete legitimacy of the card. 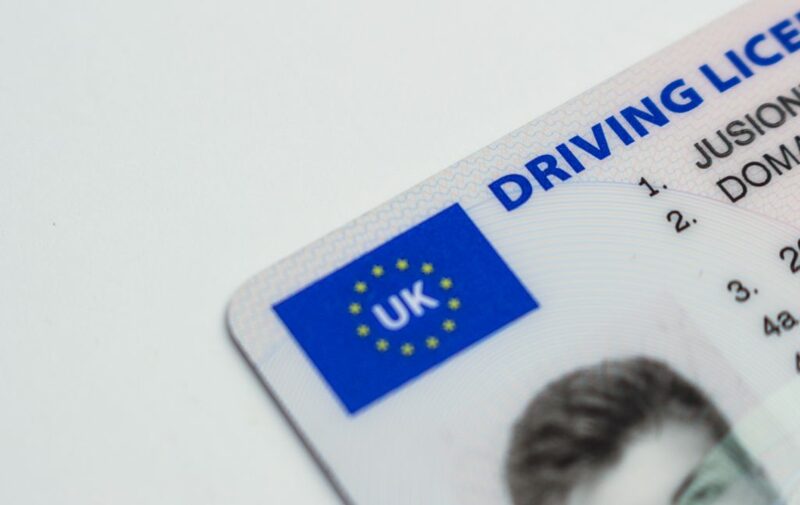 Most commonly used on diriving licences in the UK, microtext is incredibly hard to replicate, and as no two text chains are the same, this only adds to the security of the imprint. The checking process is extremely efficient, and tools and hardware are provided to be able to carry out the checks. 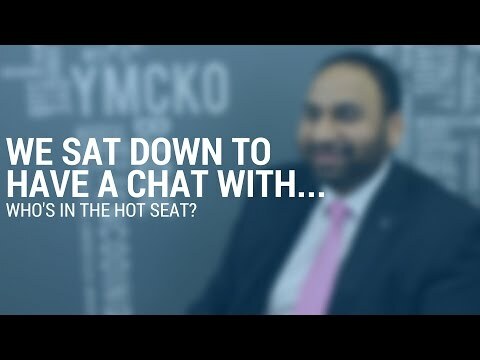 It is often seen as a cost-effective security measure in many industries. Microtext is often implemented as part of the holographic overlaminate, adding another layer of effectiveness to your security strategy. Overall, we cannot state which method is the most effective, it all depends on the needs of your organisation. 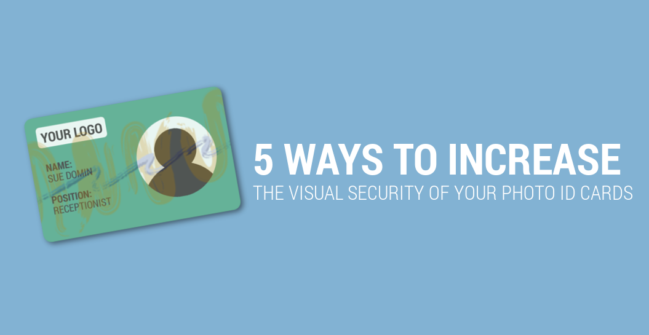 For some companies, it may even be beneficial to have more than one visual security measure in place on your photo ID cards. If you’re unhappy about the level of visual security on your current photo ID cards, get in touch today for a free card analysis service to check what security measure is right for your organisation. Call 0800 988 2095 or email sales@digitalid.co.uk.